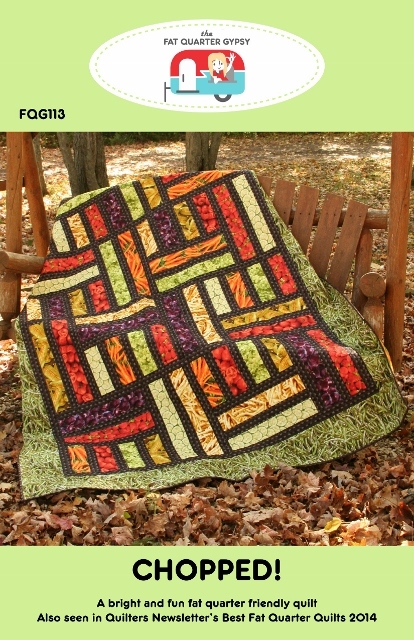 A fun pattern using a tumbler shape made from a 30 degree triangle. 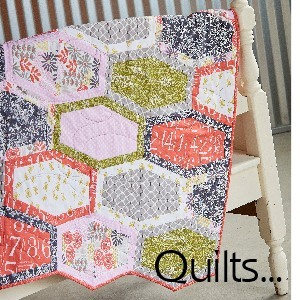 Quilt assembles in columns… so there are no Y seams! 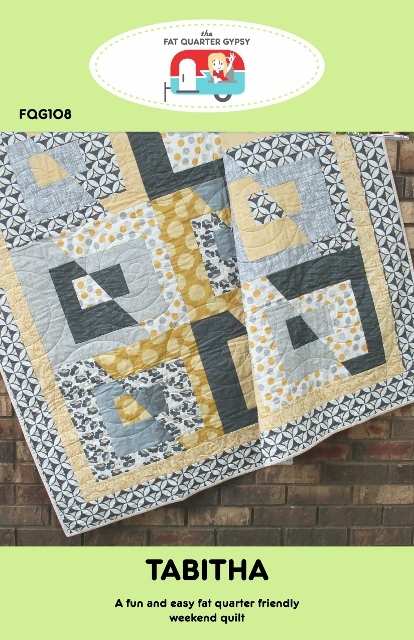 This is a fun pattern for a class featuring a 30 degree triangle and non-90 degree binding techniques. 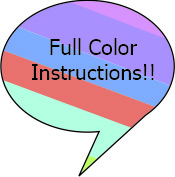 Full color instructions! 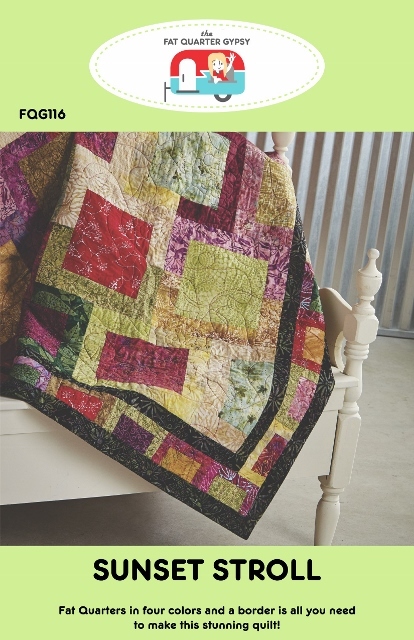 Quilting is a passion of mine and I hope you enjoy my designs as much as I have enjoyed creating them. ​Inspiration: My loveable Golden Retrievers Morgan and Buggs. ​Inspiration: A pile of scraps taller than my dog! Inspiration: My 2 boys... and all the fun they had playing with little cars as kids. Yardage for Twin backing is incorrectly listed as 4-1/2 yards. 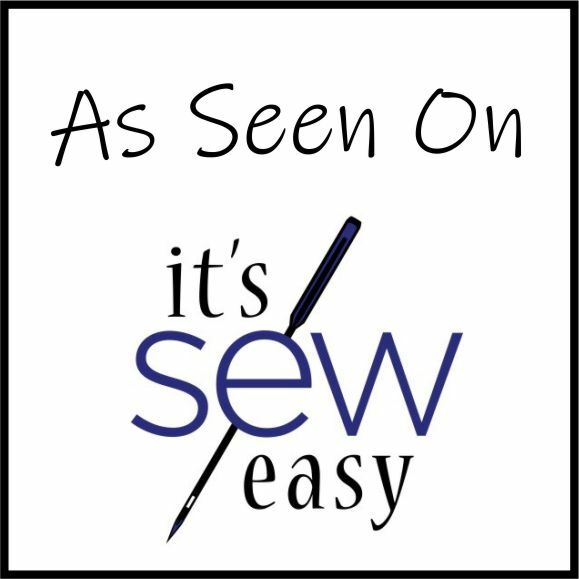 It should be 5-3/4 yards, seamed vertically. 2 styles - Angled and Straight! Inspiration: My love of loud, large prints. 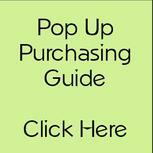 This pattern features the main print without cutting it up into pieces! The sashing is added in a way that allows the print to stay perfectly in sync! 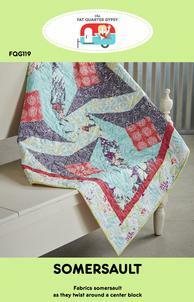 Sometimes a quilt just needs to feature those vertical prints! 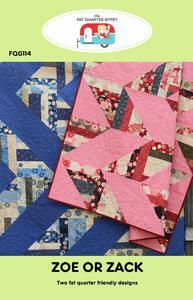 A fun, easy Fat Quarter friendly weekend quilt! 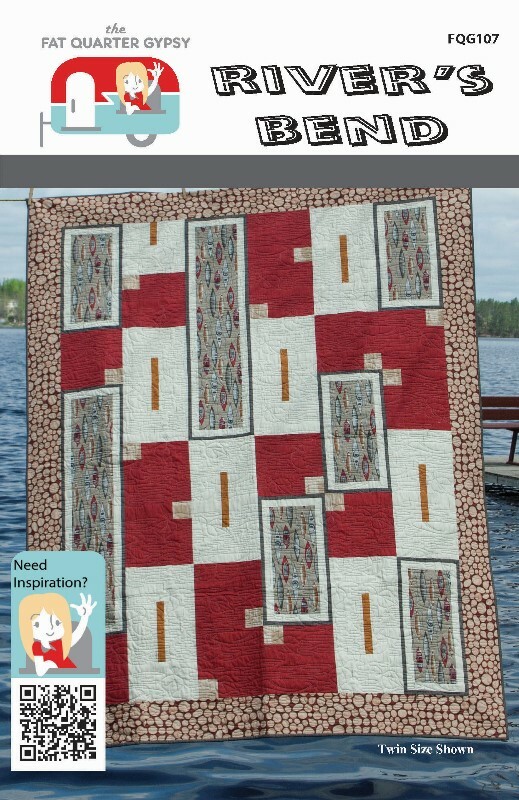 This is a great quilt for a class! 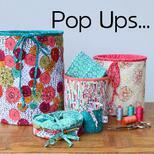 Grab a bundle of Fat Quarters and have some fun!! 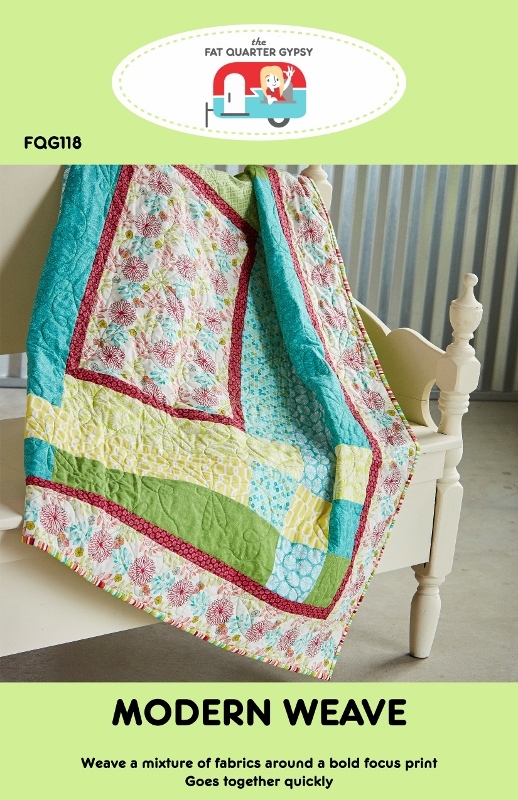 A set of 40 - 2 1/2" strips, a sashing and a border is all it takes for your own Secret Garden! 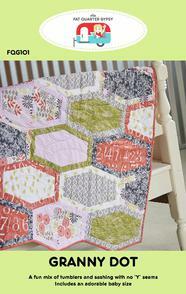 A sweet chevron quilt for that little someone special. 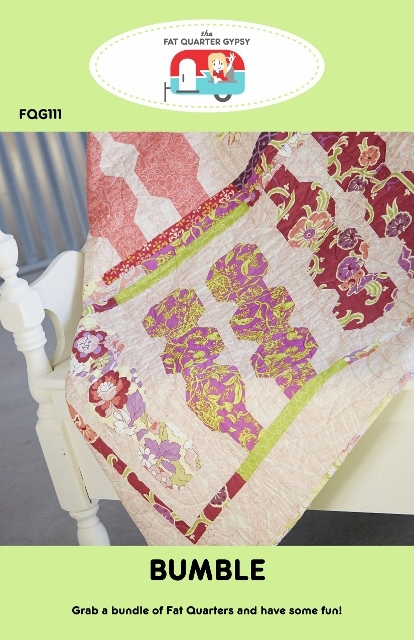 Grab a pile of fat quarters in 3 colors and have some fun!! 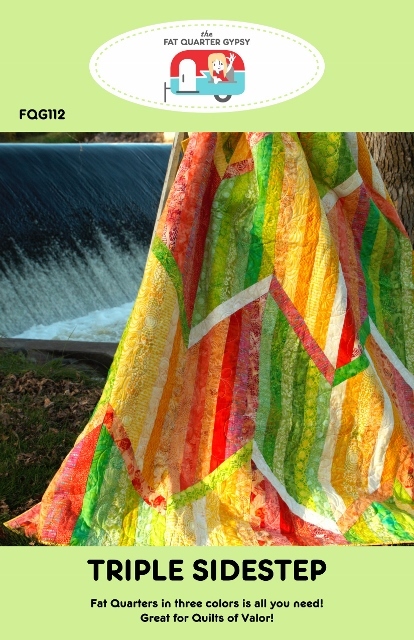 Zoe or Zack was designed for the beginner quilter. 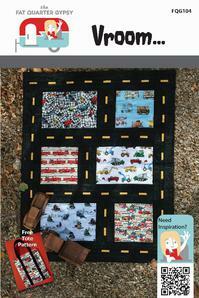 Using a single block, with no angled seams, makes it a great pattern to use in a class setting. Having 2 distinct ways to lay out the final design makes it even more fun! So what will it be? Zoe or Zack? 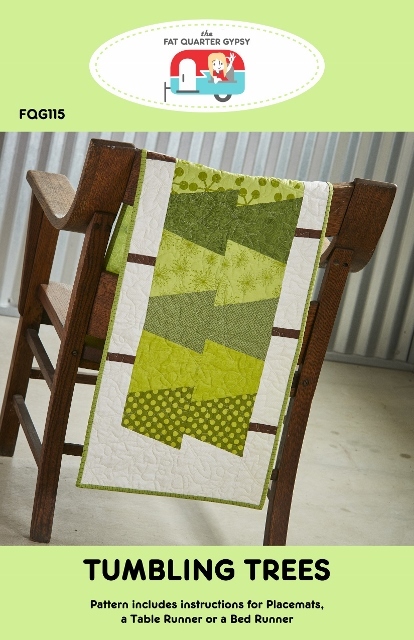 ​Tumbling Trees uses a 30 degree triangle to whip together a fun table runner, 4 placemats or a bed runner! Add a few extra embellishments and you can have a cute holiday gift. Chopped! 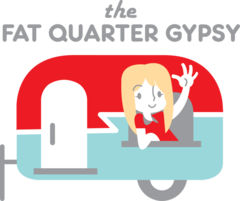 is a fun, fat quarter friendly pattern. 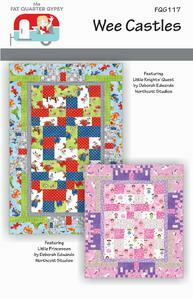 The veggie fabrics were featured in Quilters Newsletter's Fat Quarter Friendly Quilts 2014. This is a great pattern for a beginner class. I LOVE the Row by Row Experience! 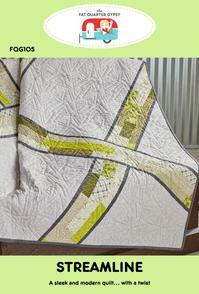 Click the button above to see the rows I have designed for your local quilt shops! 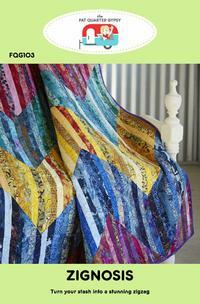 Weave up a mixture of light, mediums and darks around a fun focus fabric! 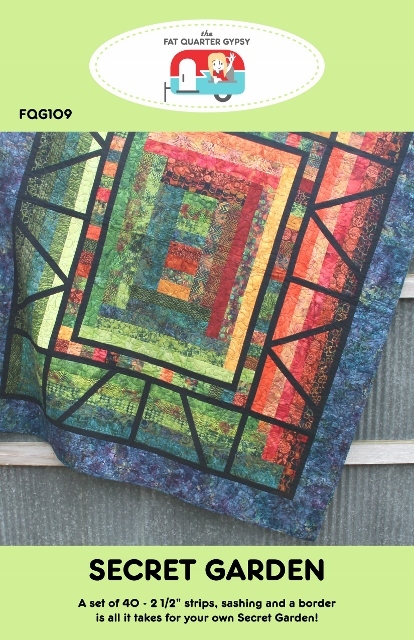 This quilt goes together easily! 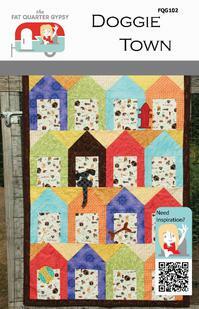 Half rectangle blocks twist and turn around a fun center block. Specialty rulers make it easy to put together. 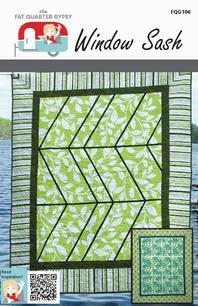 Half rectangle blocks are a fun way to make movement throughout a design. 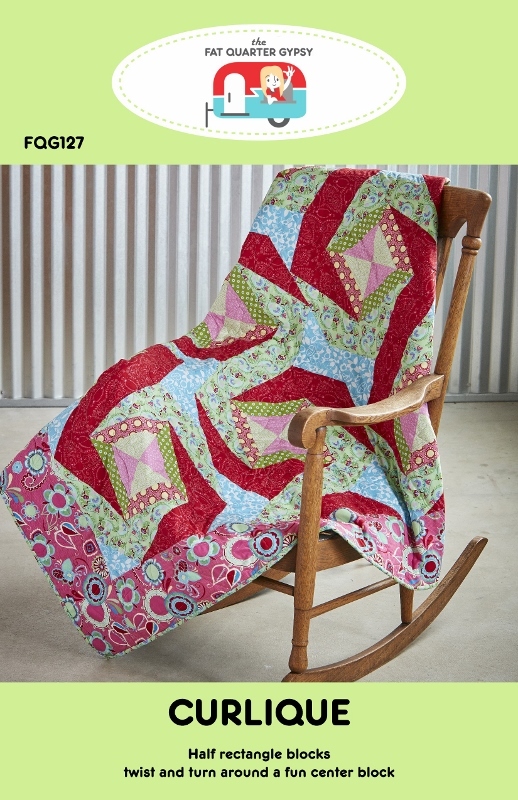 This quilt looks like it is doing somersaults as the fabrics twist around the center blocks. Everyone loves a contemporary take on a traditional pattern. 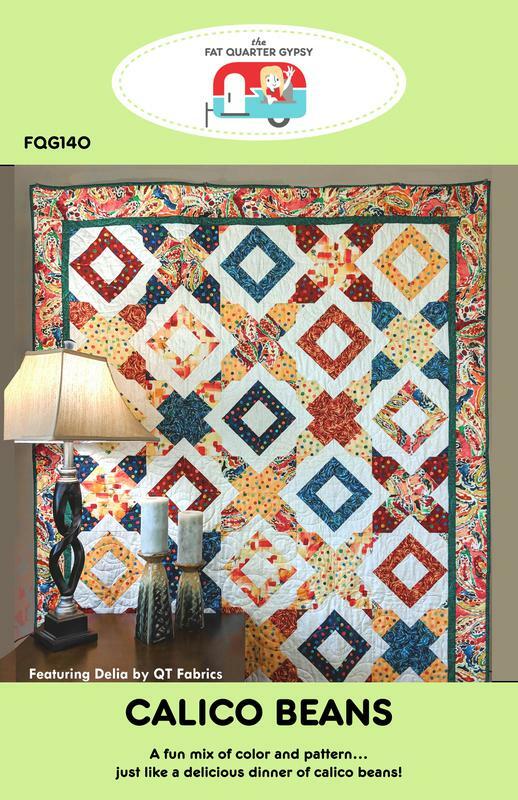 This quilt makes a great kit to feature your new fabric. Twin - 70" x 90"
Queen - 90" x 90"